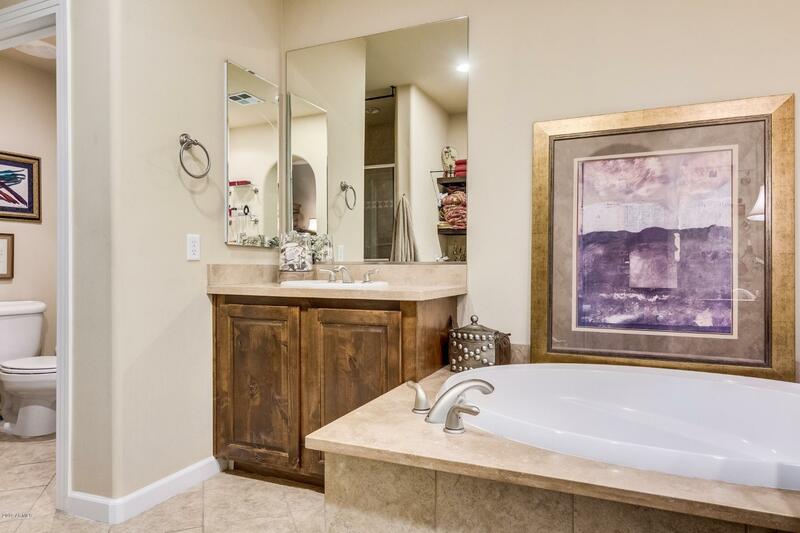 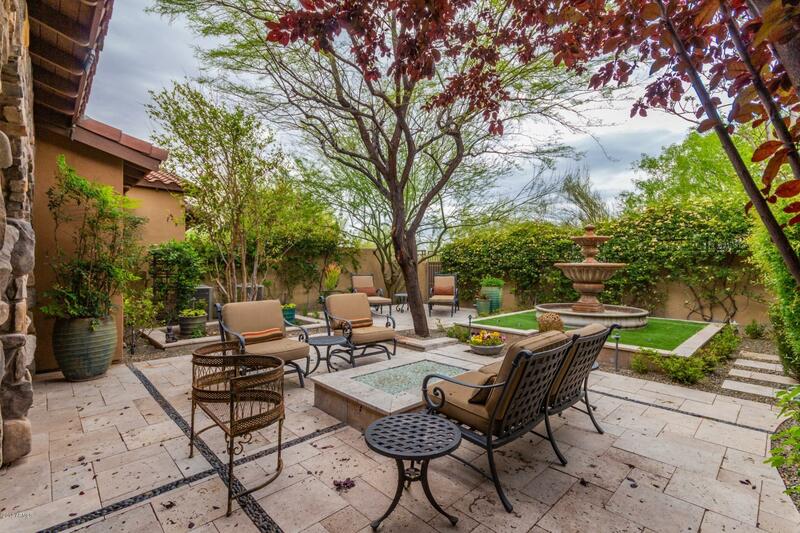 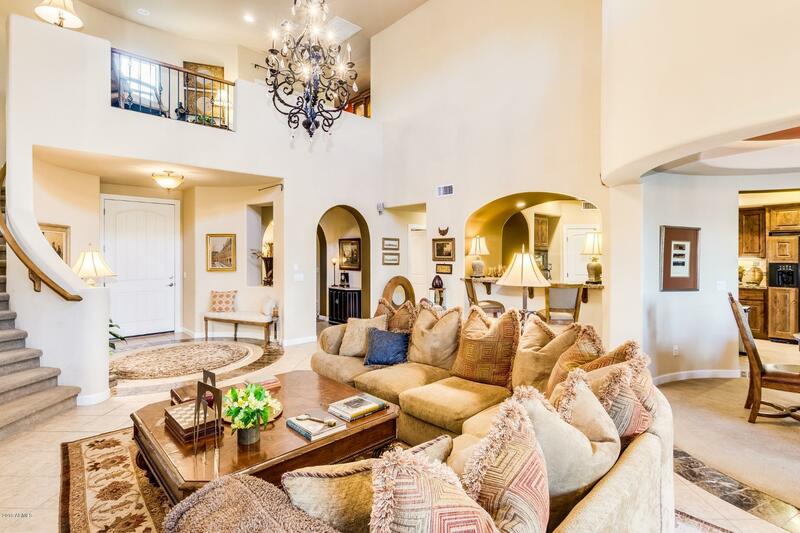 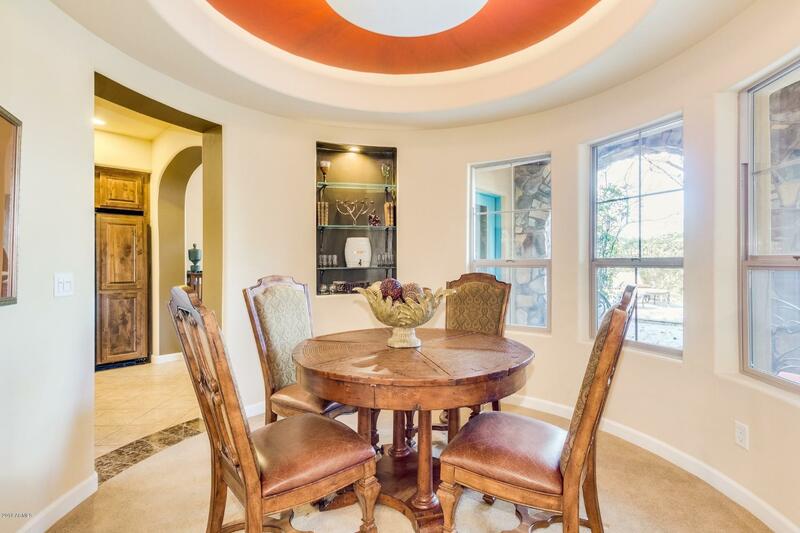 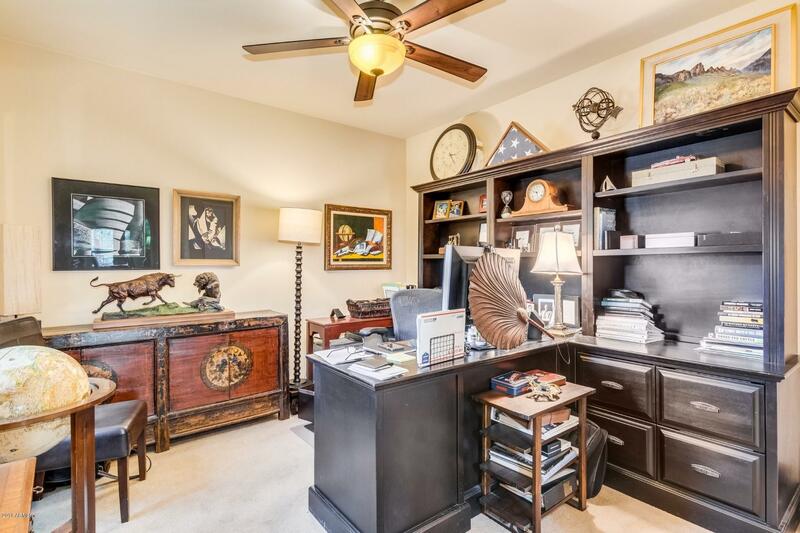 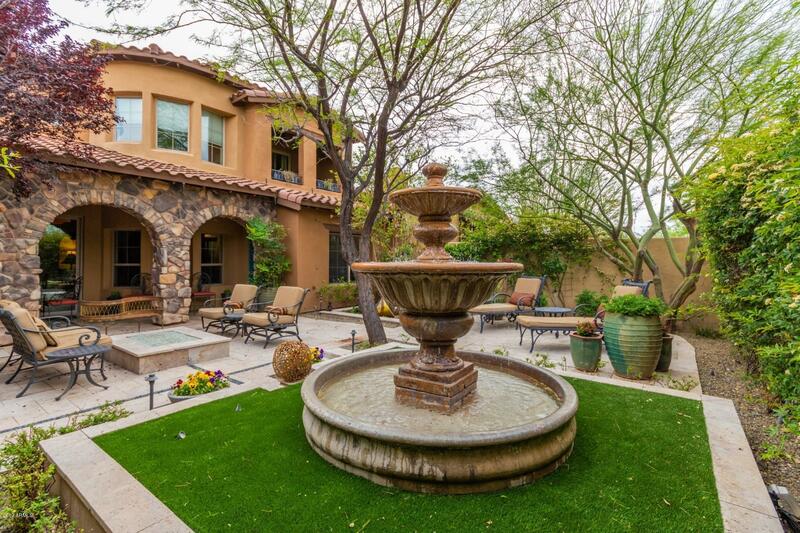 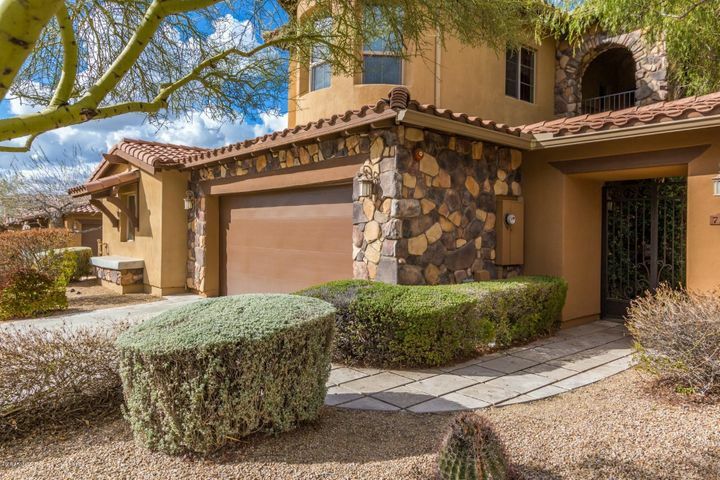 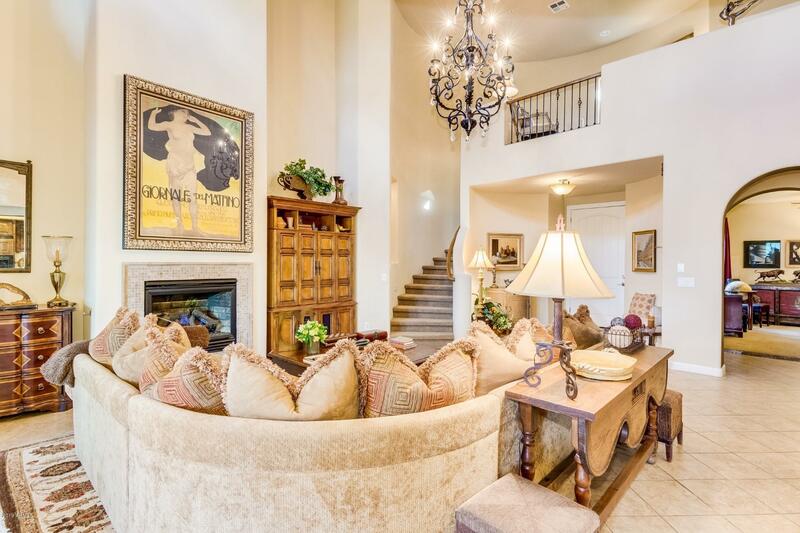 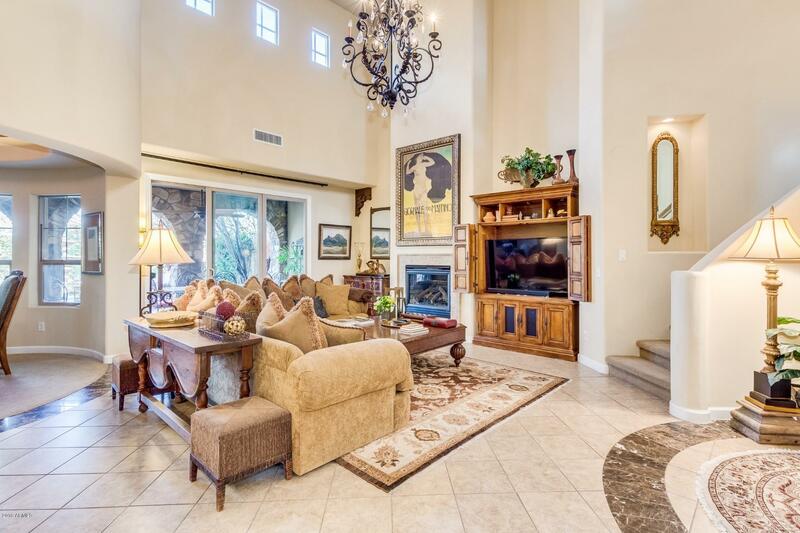 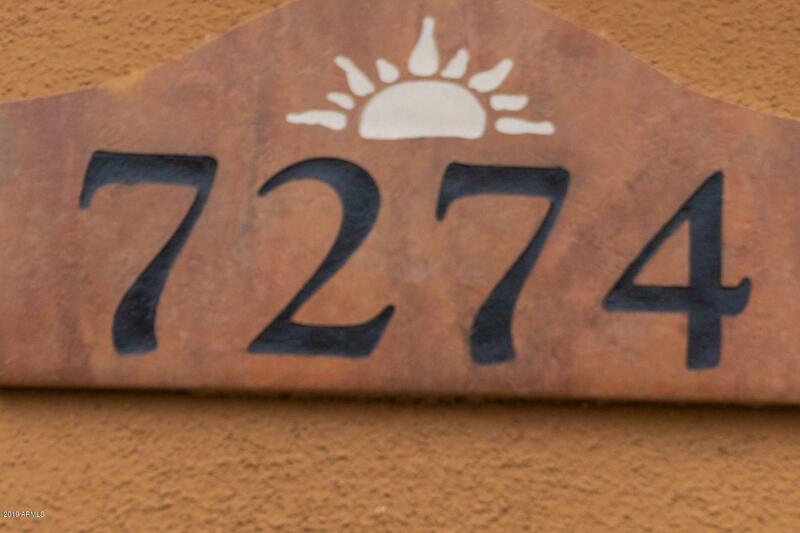 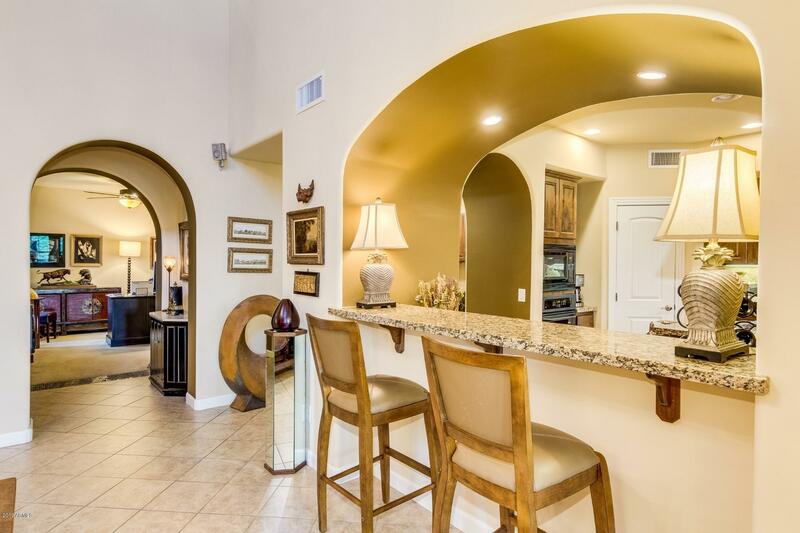 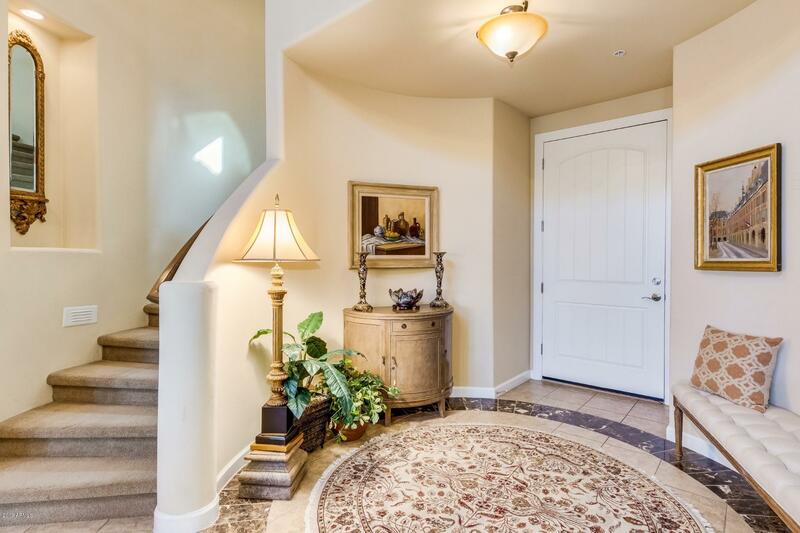 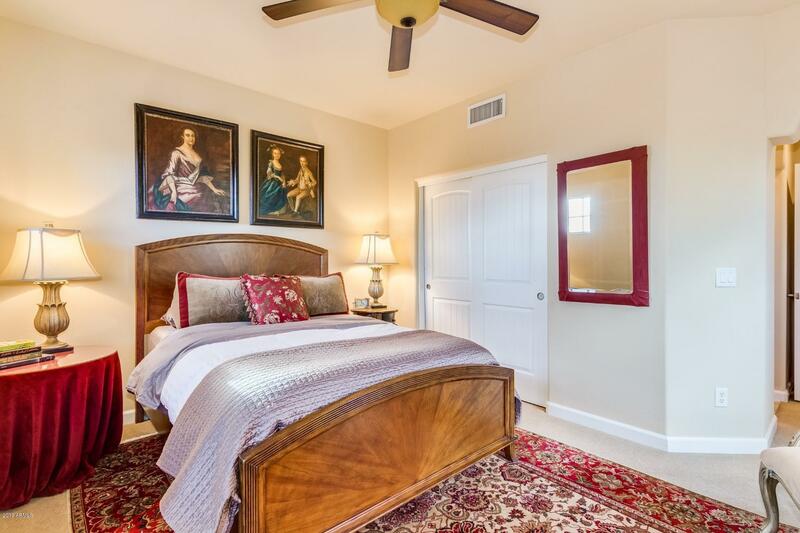 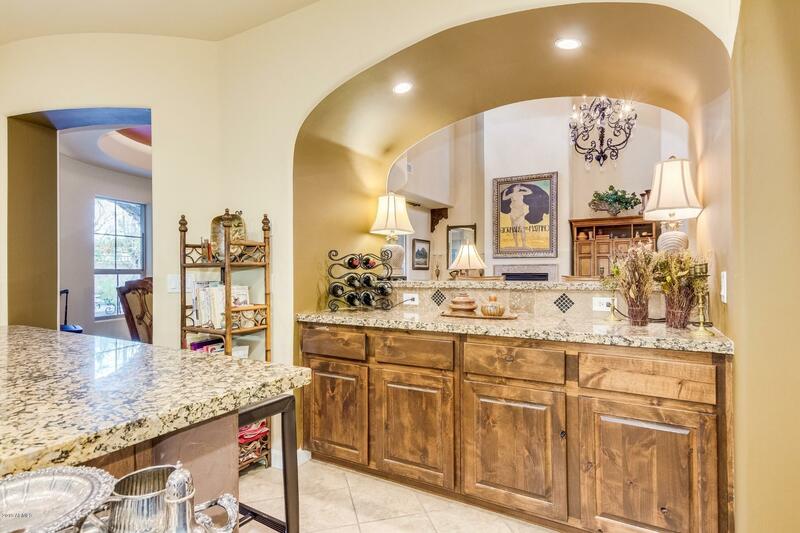 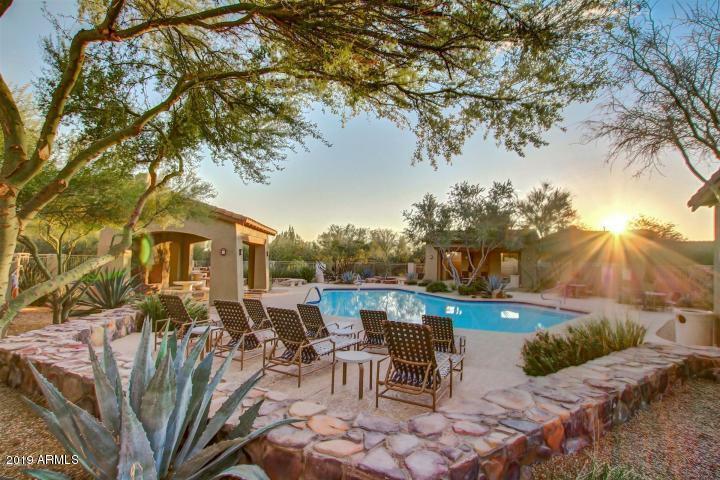 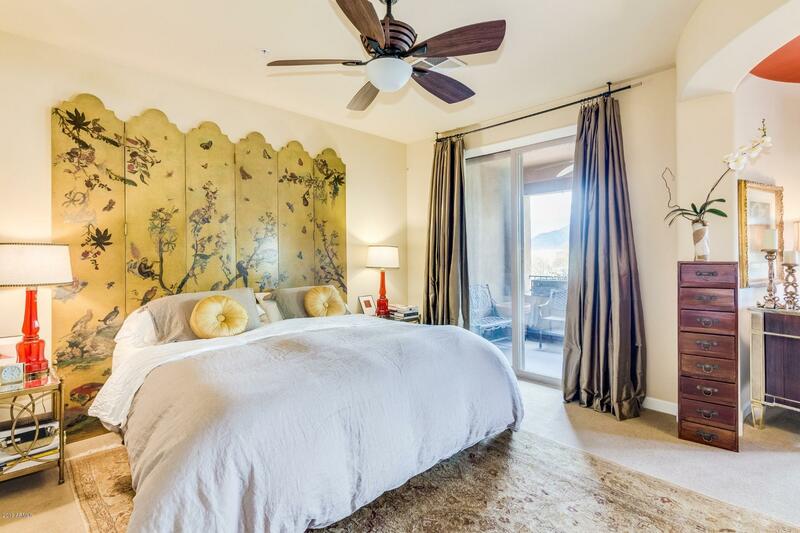 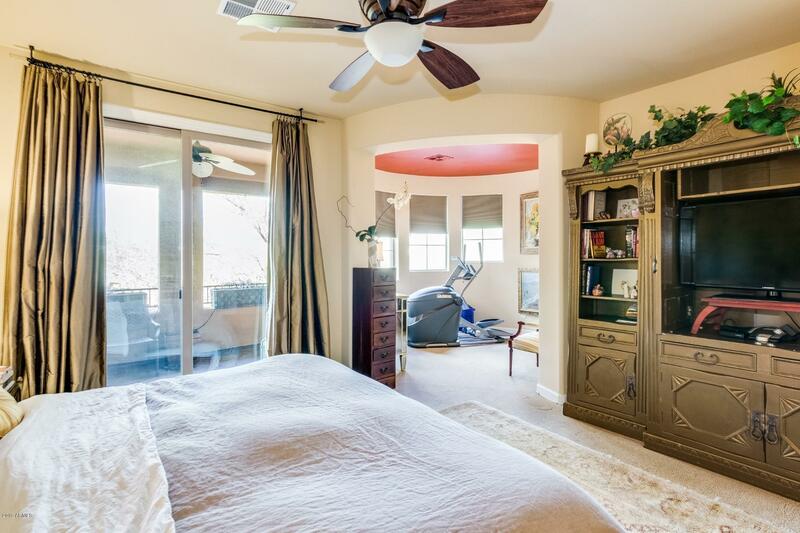 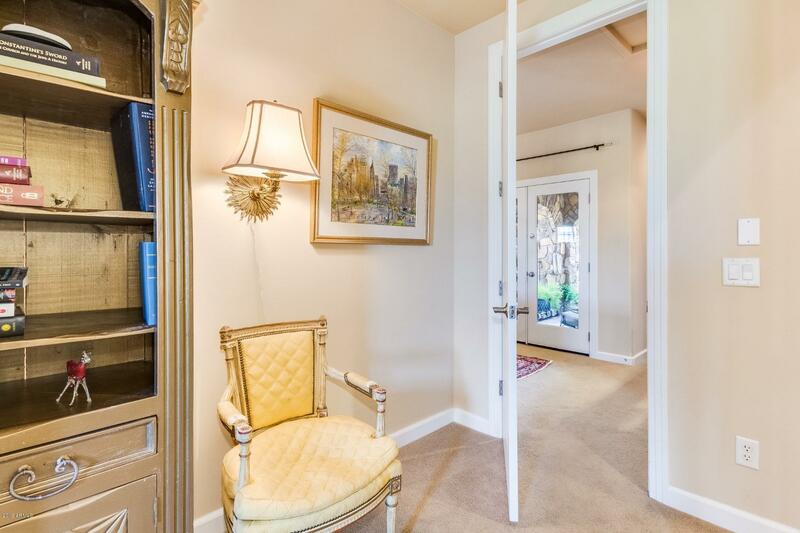 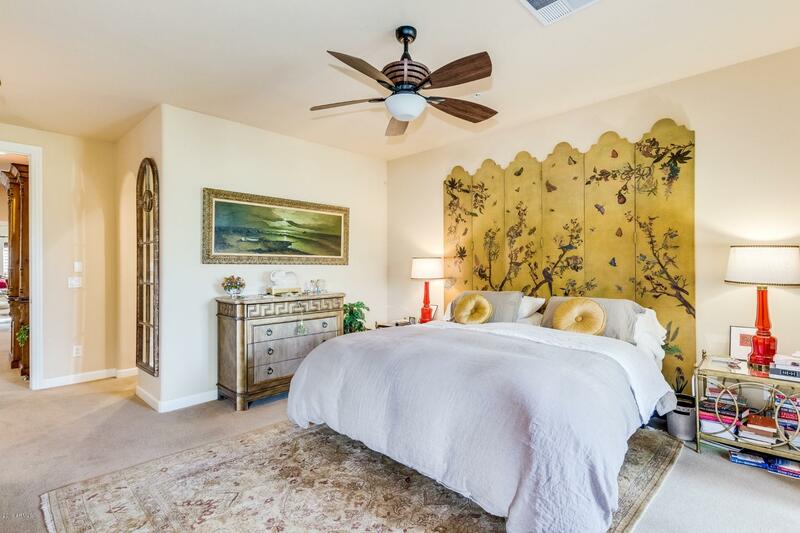 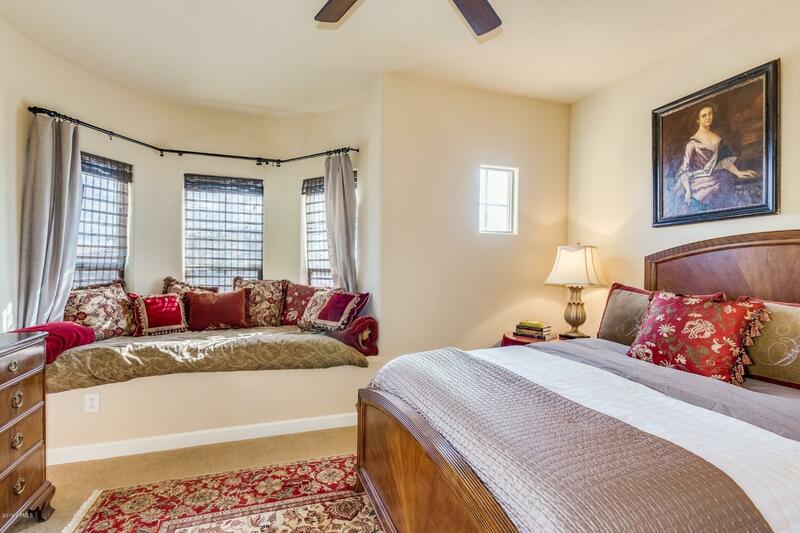 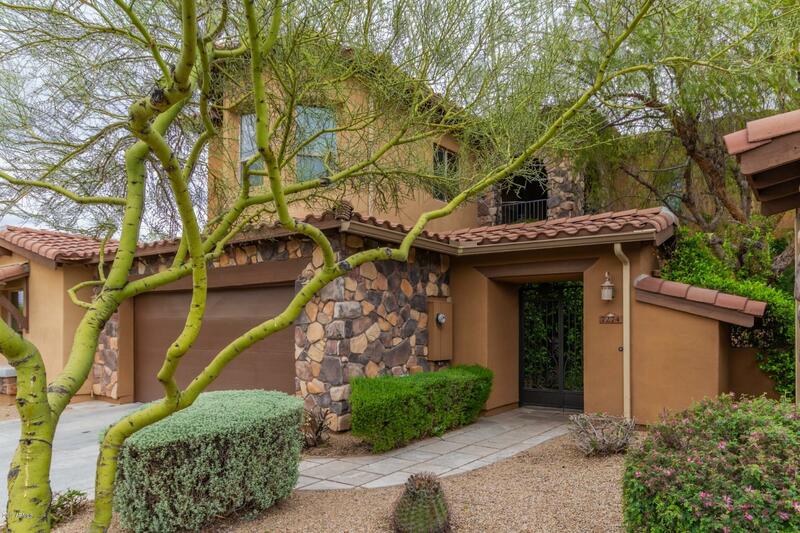 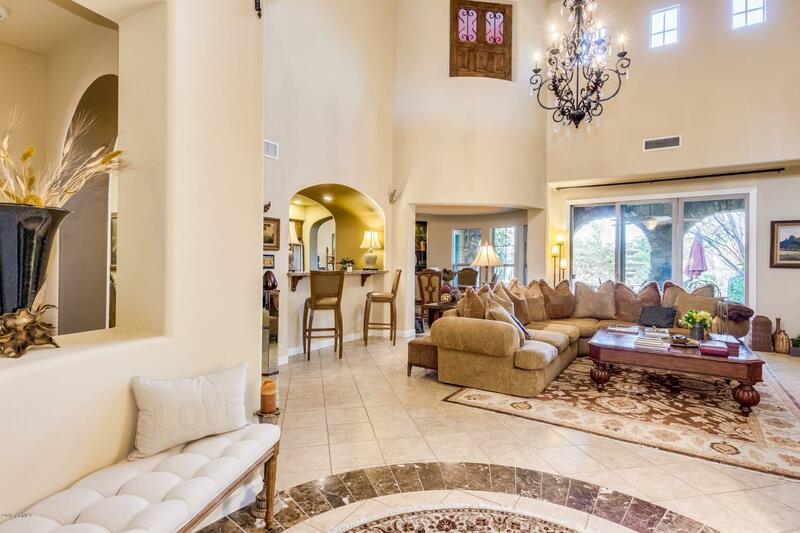 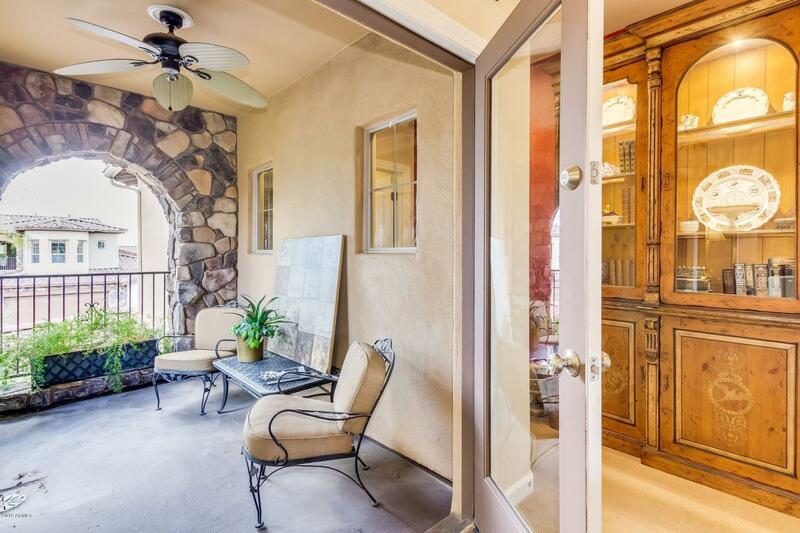 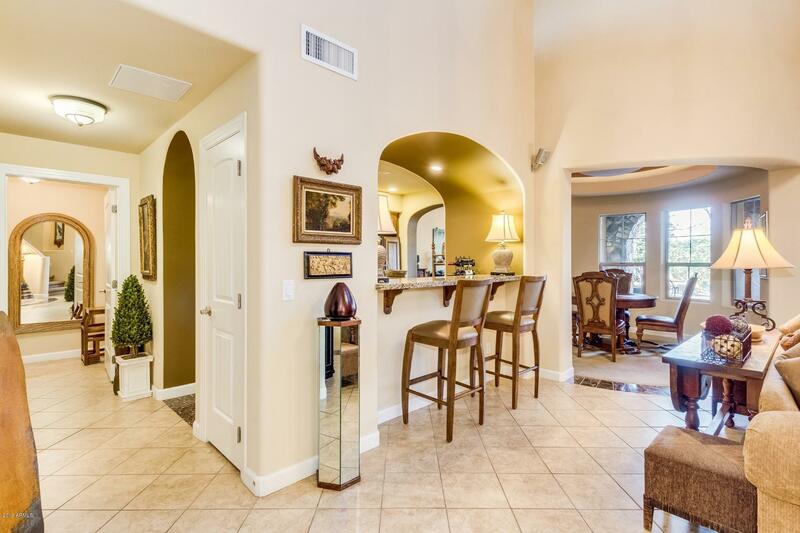 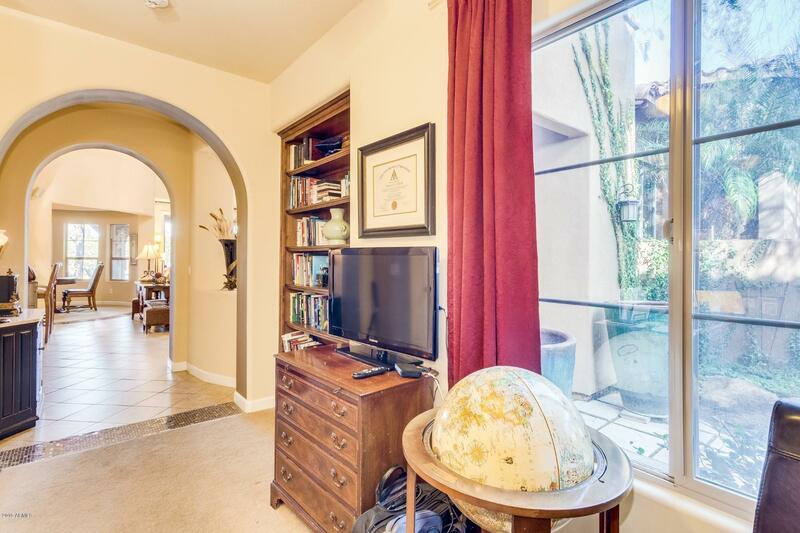 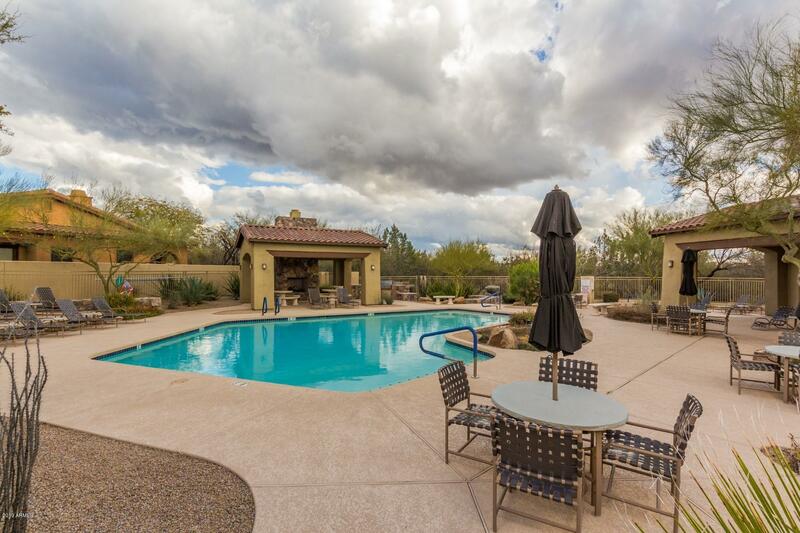 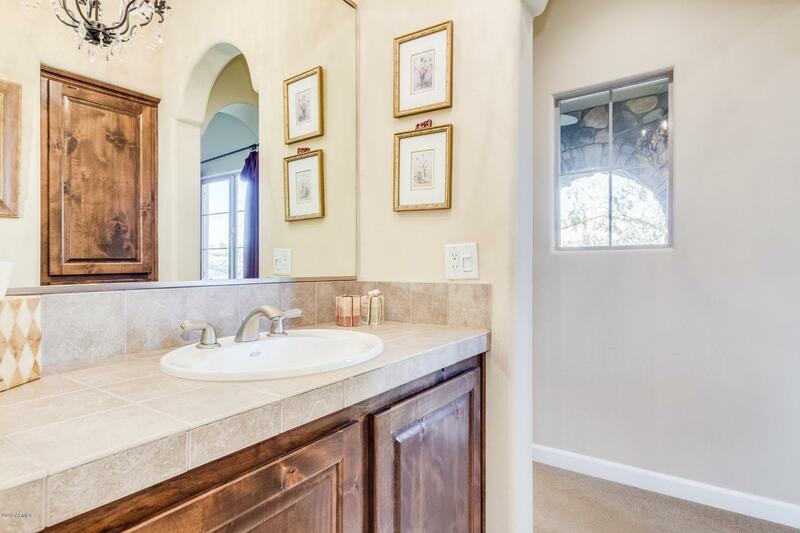 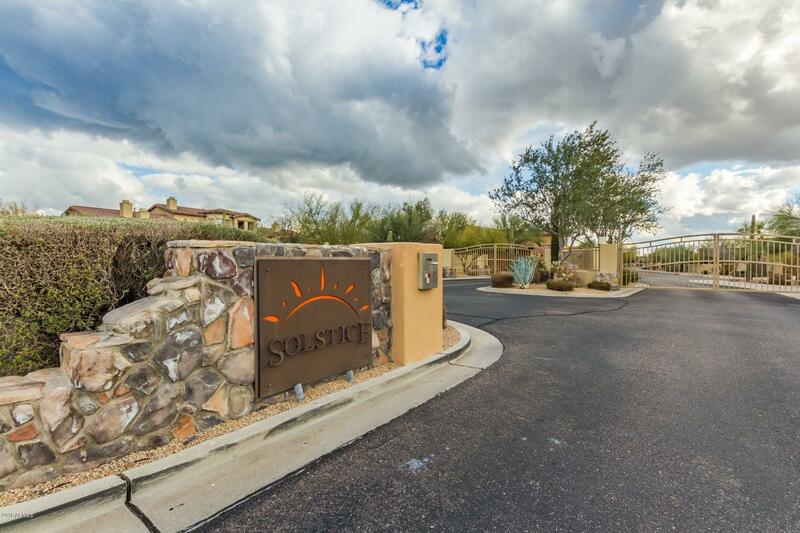 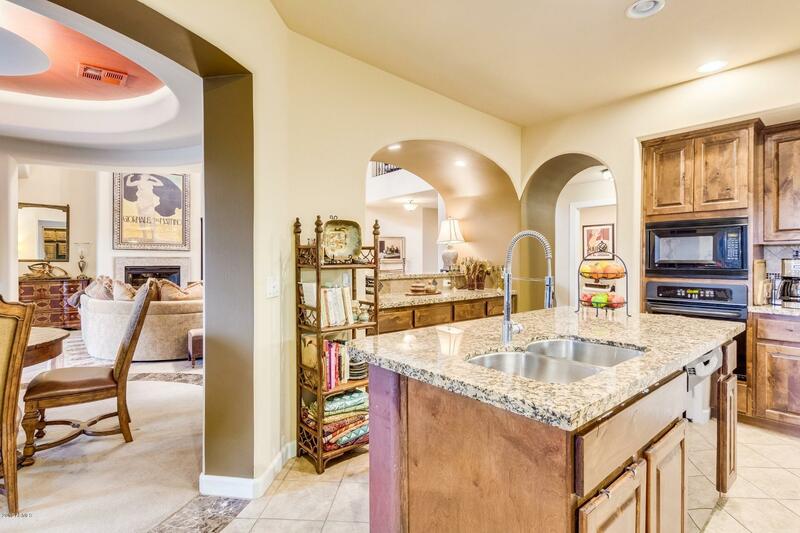 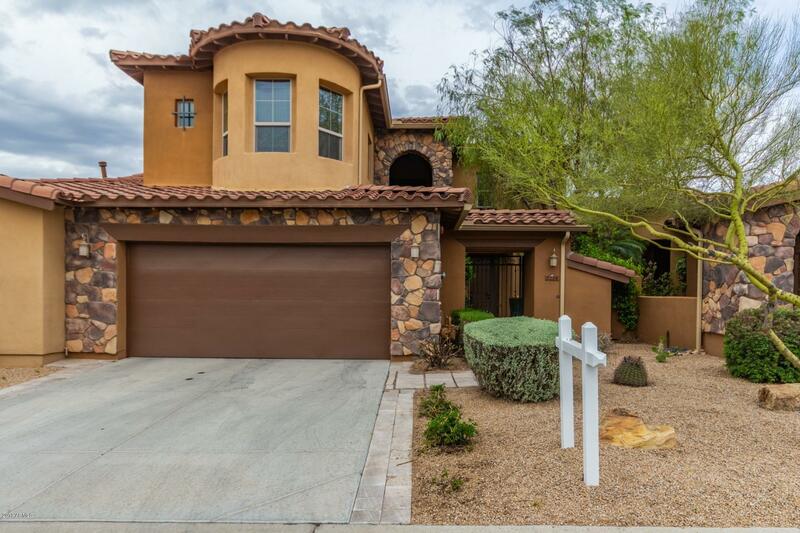 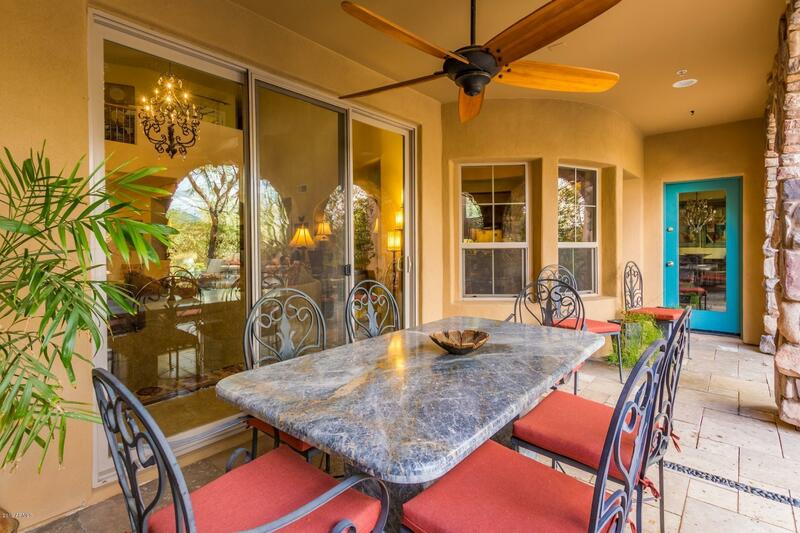 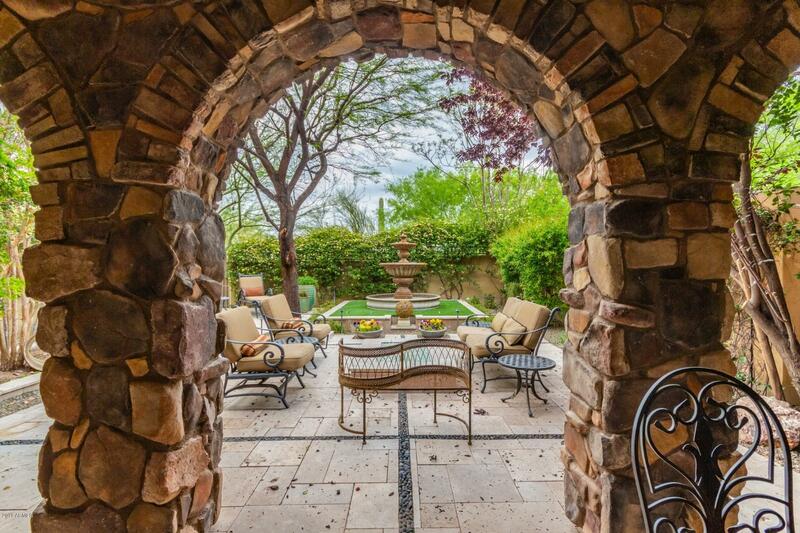 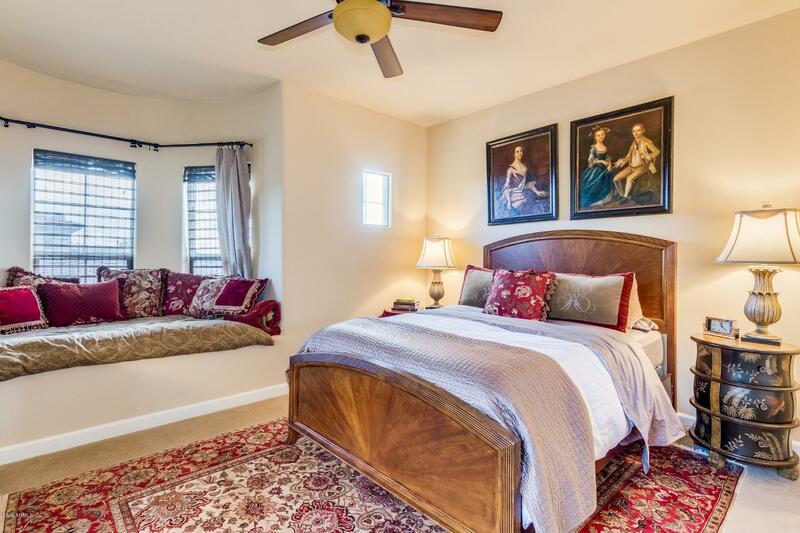 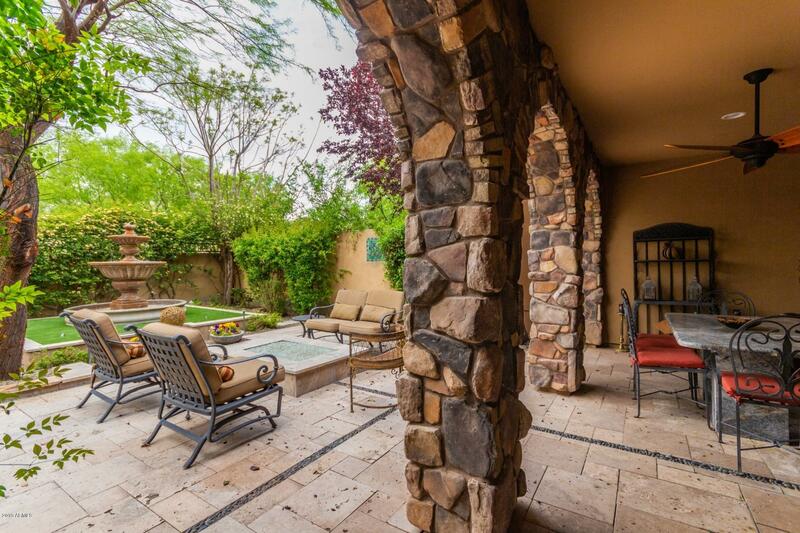 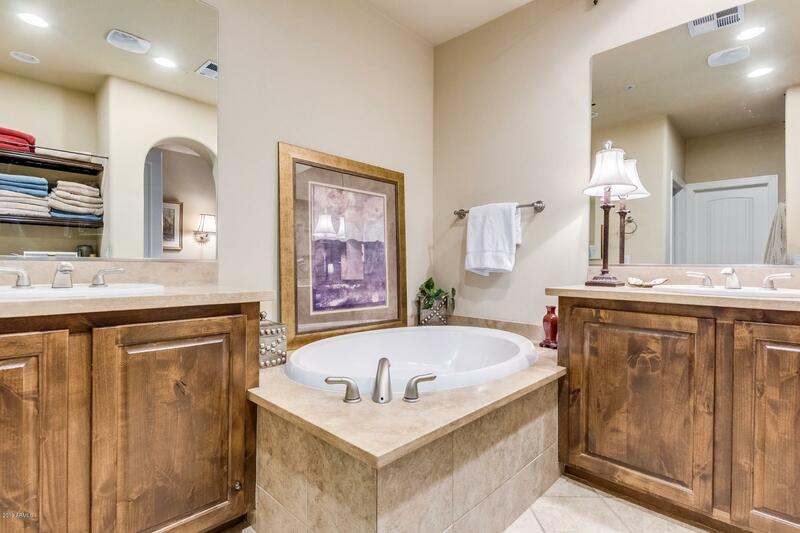 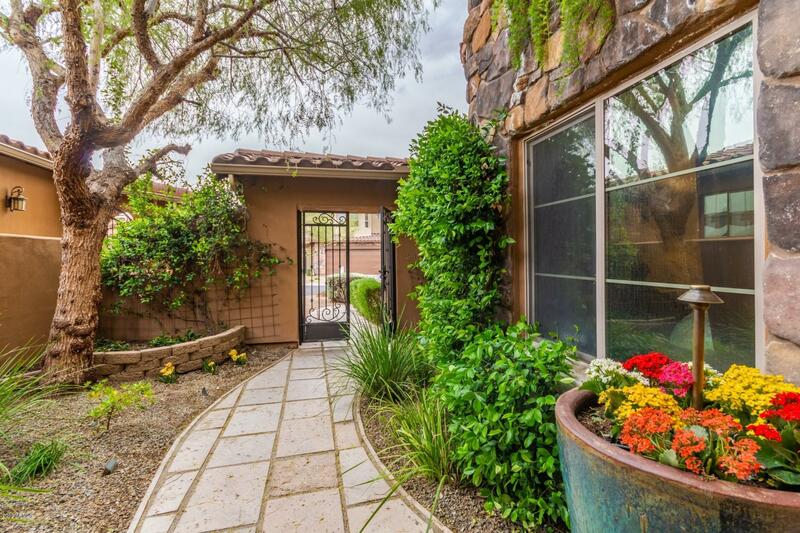 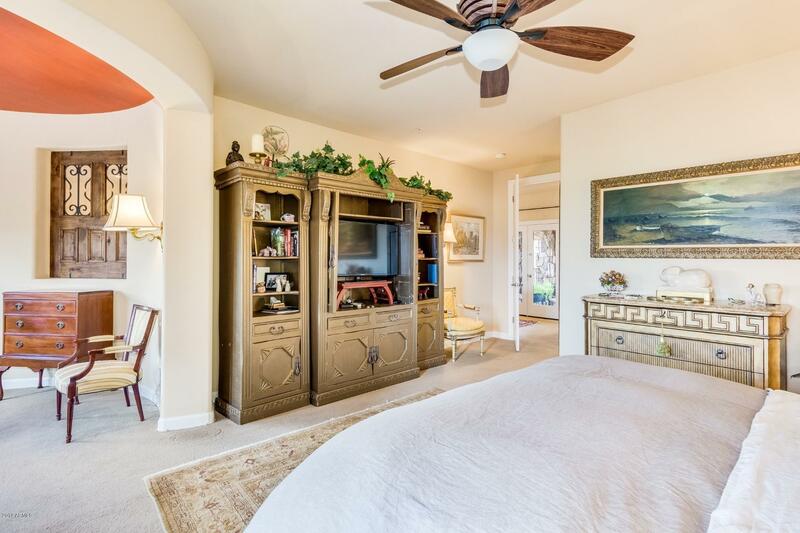 Stunning North Scottsdale home with 2 master suites, den & 2.5 baths. 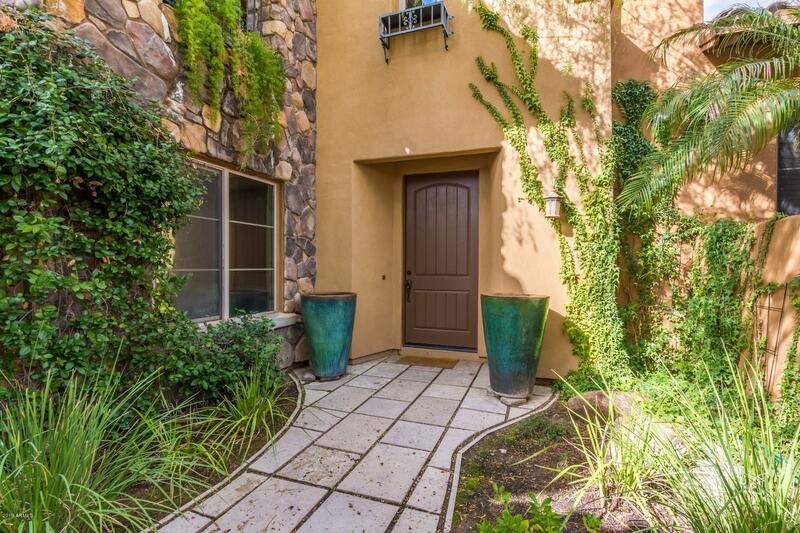 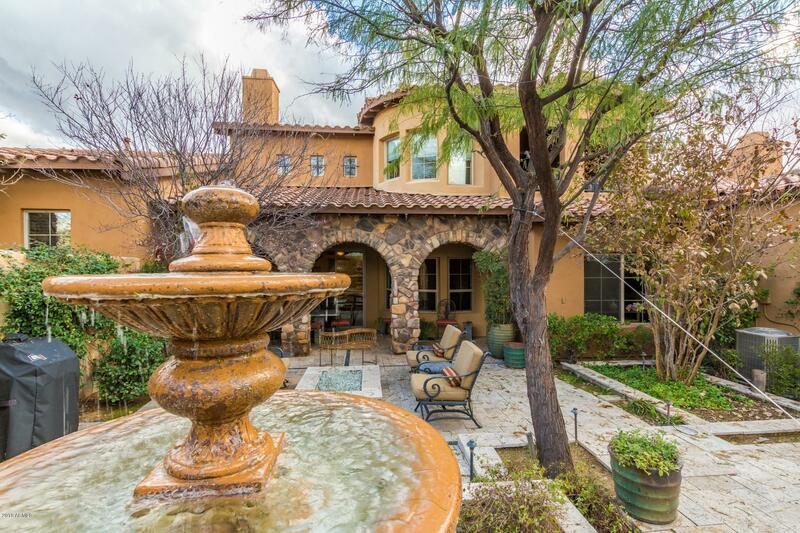 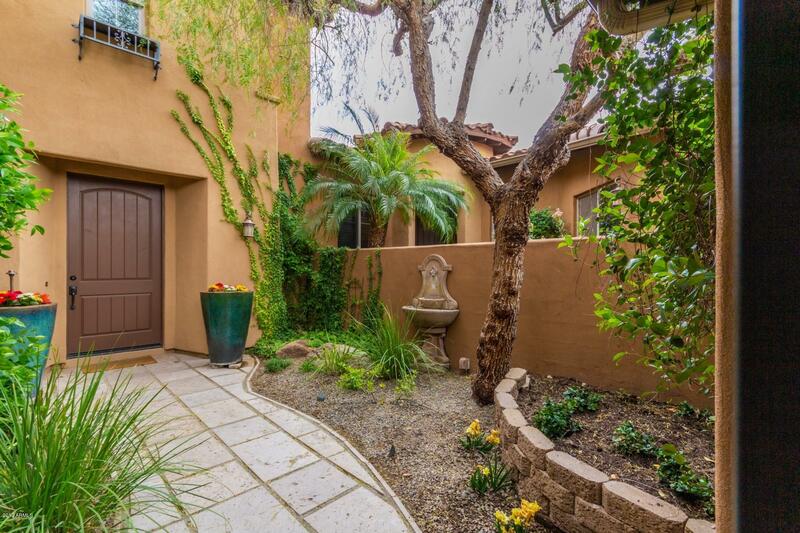 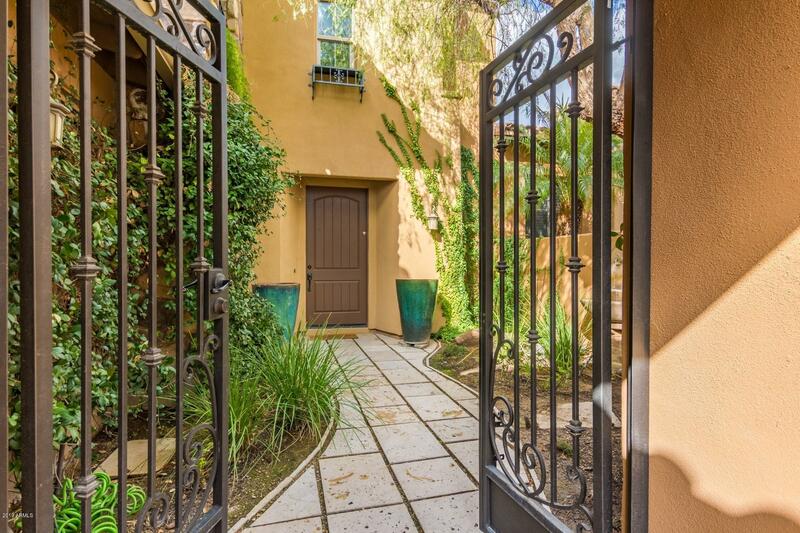 Lush and gorgeous private courtyard entrance with water feature. 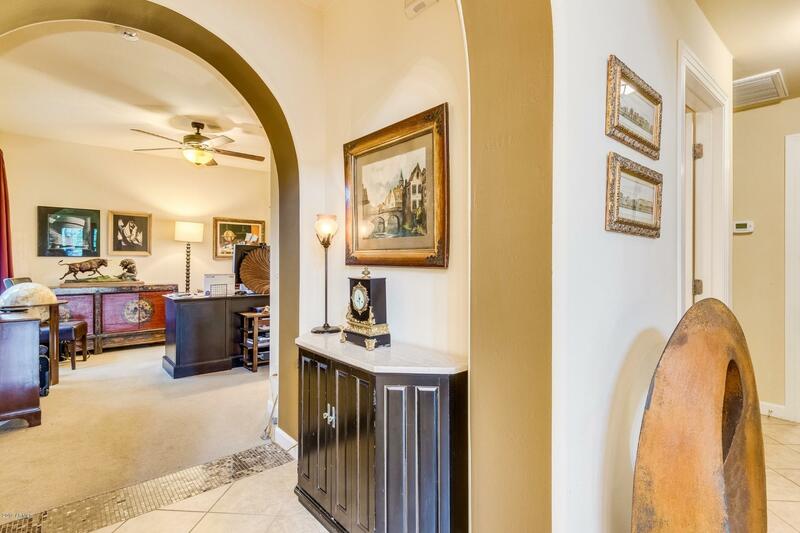 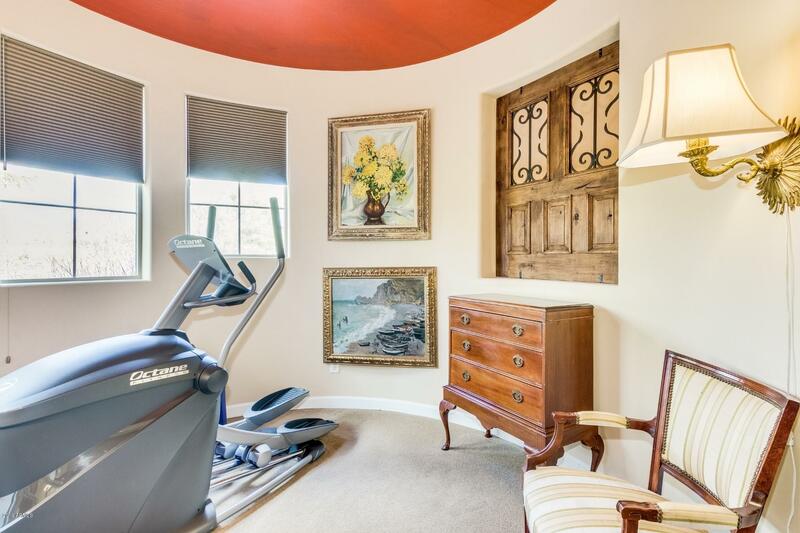 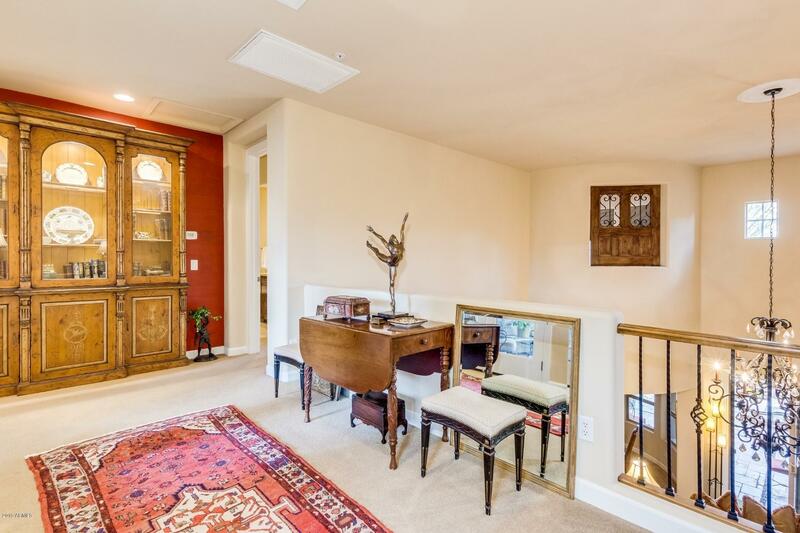 Round foyer with gorgeous tile and deco accents opens to incredible great room with two story ceilings and cozy fireplace. 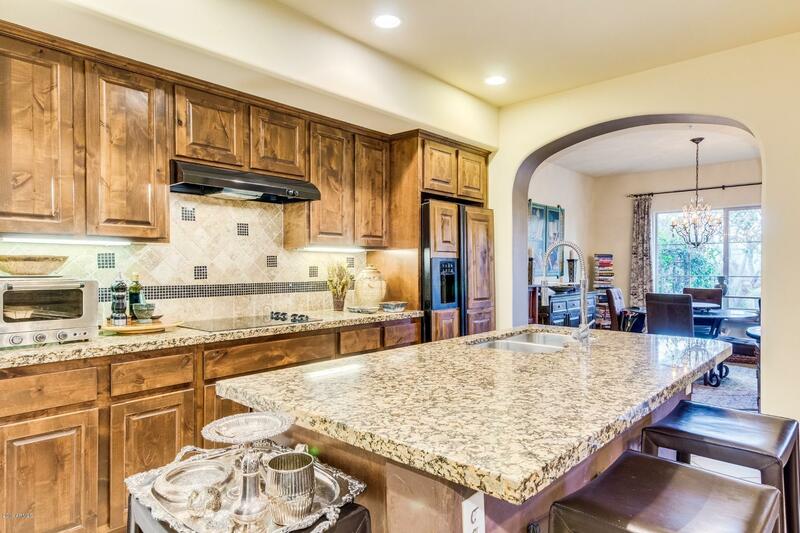 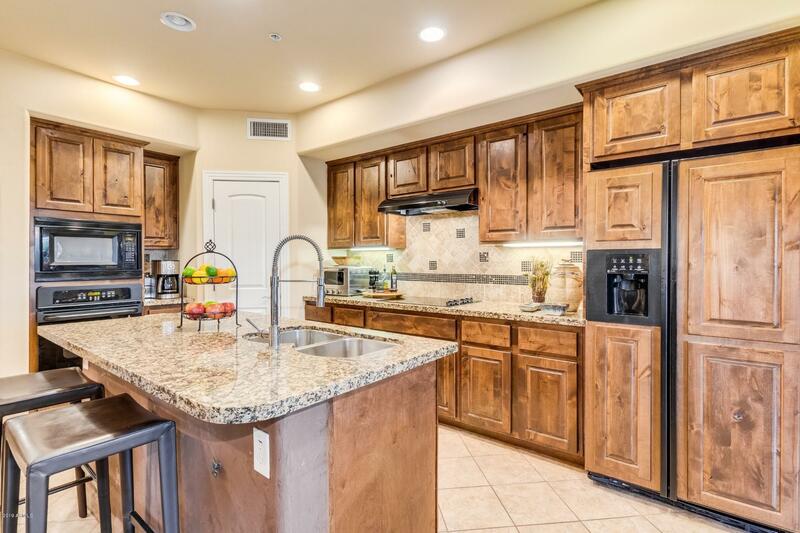 Cook feasts in this gourmet kitchen with built-in fridge, granite counters, center island and breakfast bar. 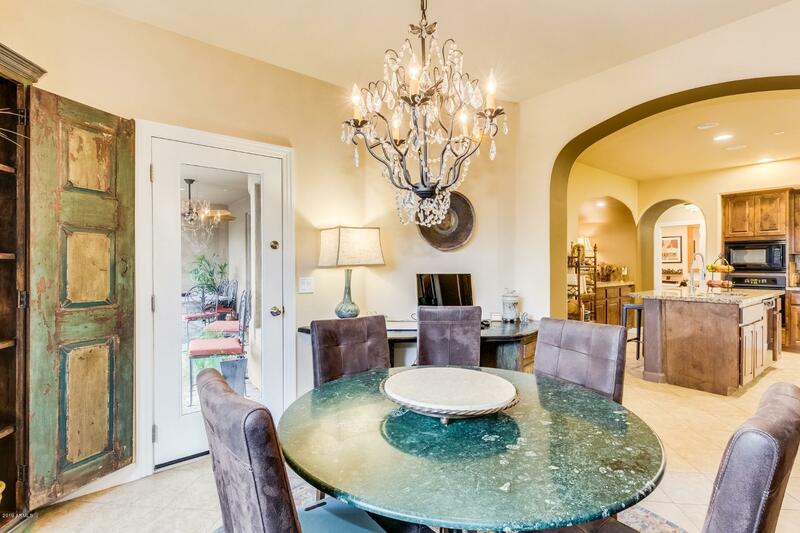 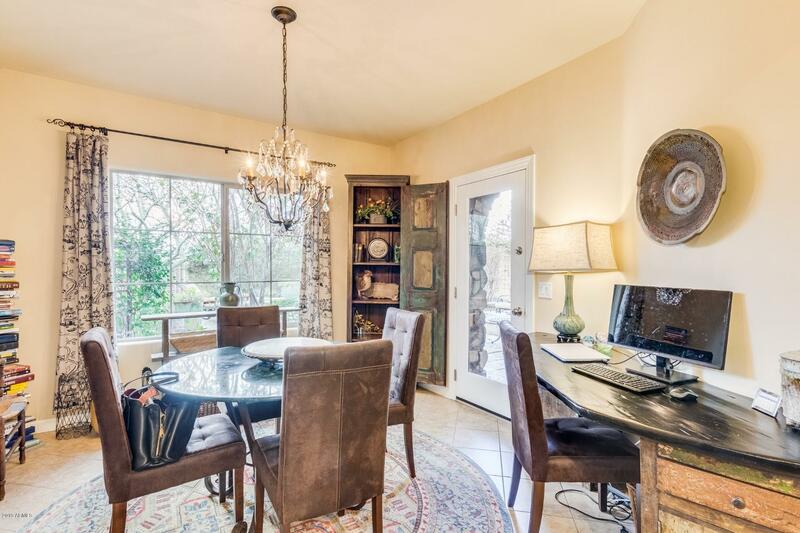 Formal dining room provides perfect area for intimate conversation. 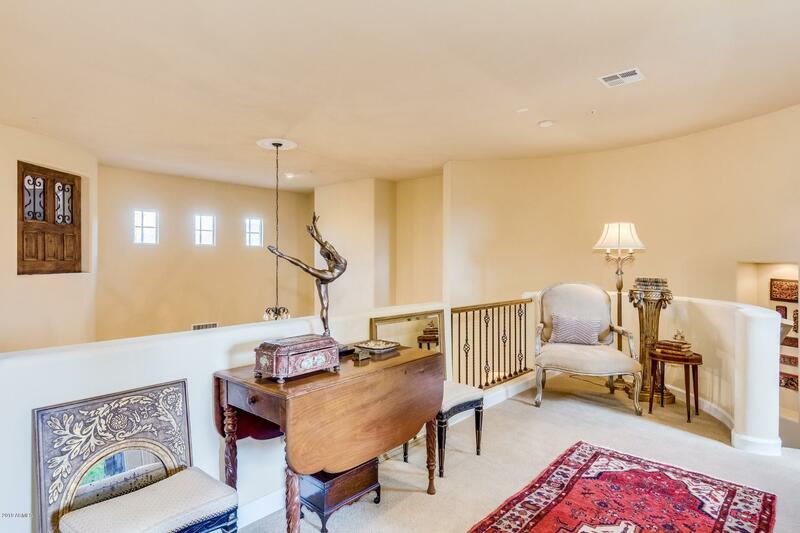 Upstairs has front balcony overlooking courtyard. 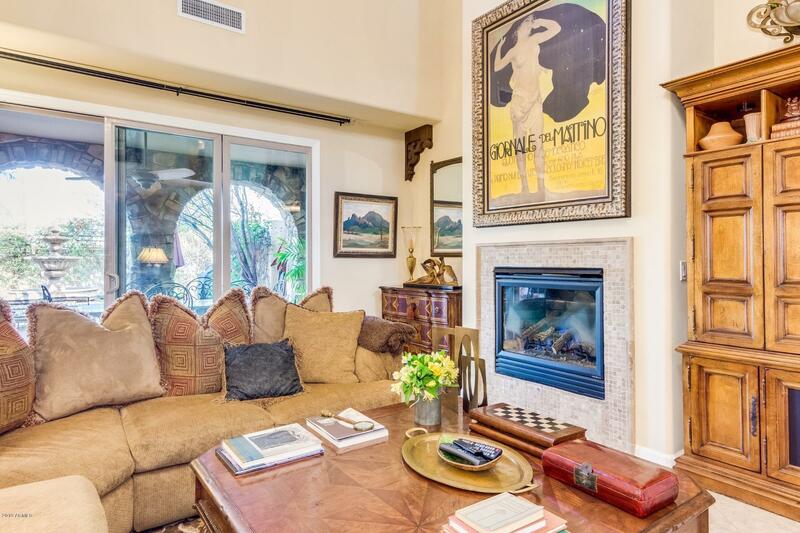 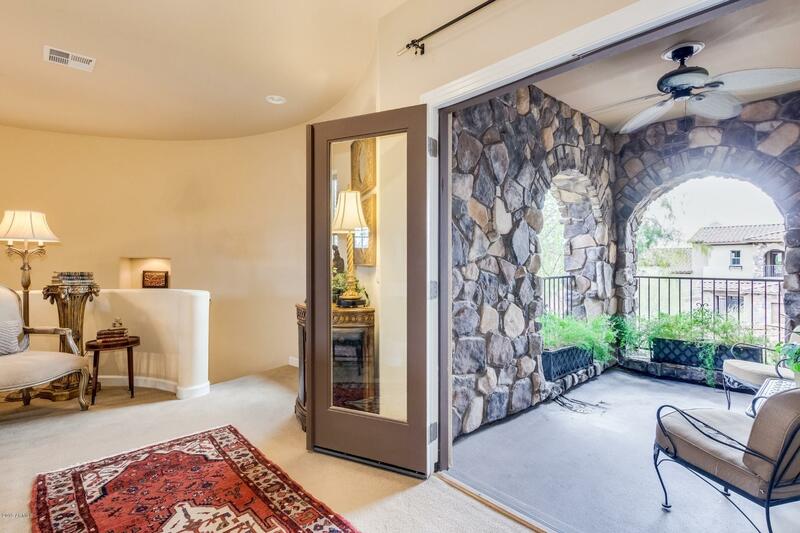 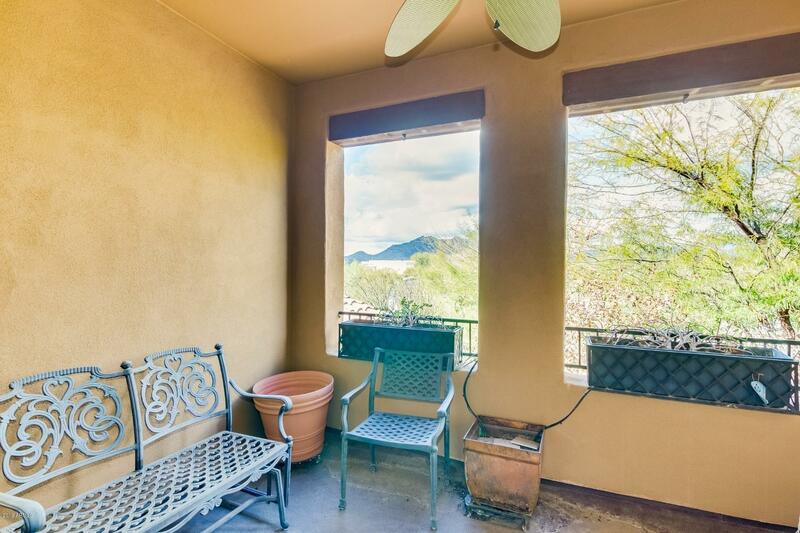 Master retreat's sitting room and private balcony have Black Mountain views. 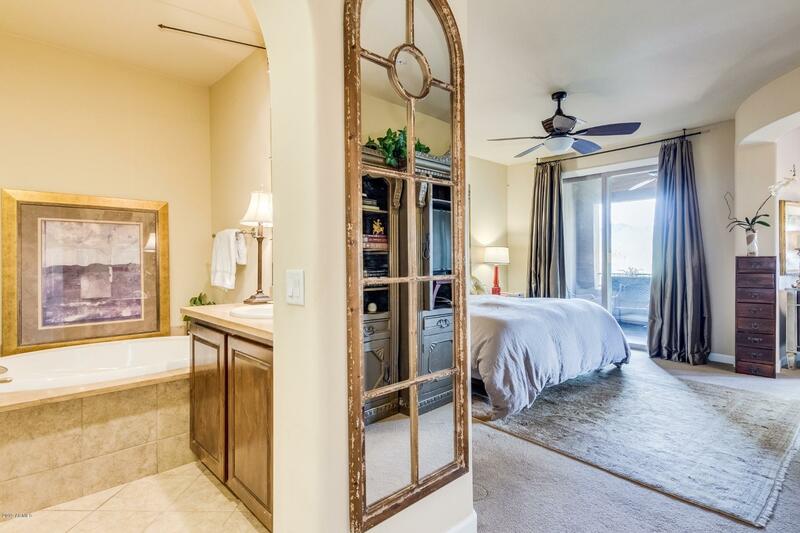 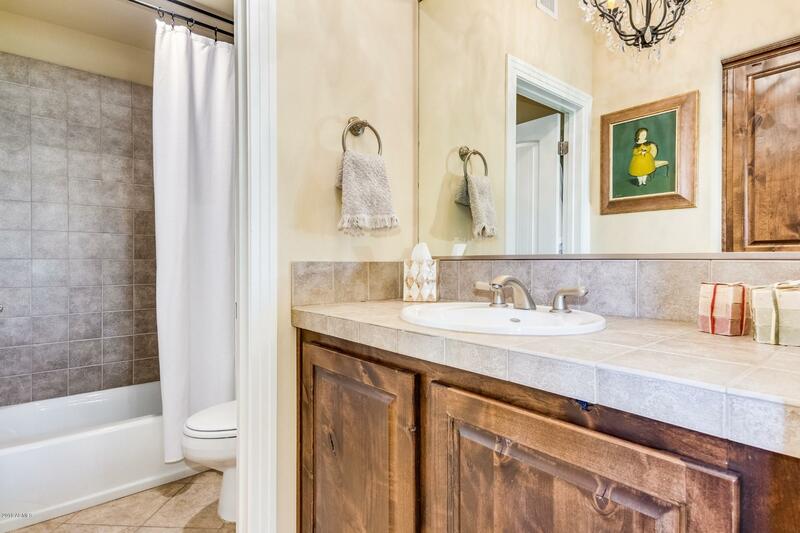 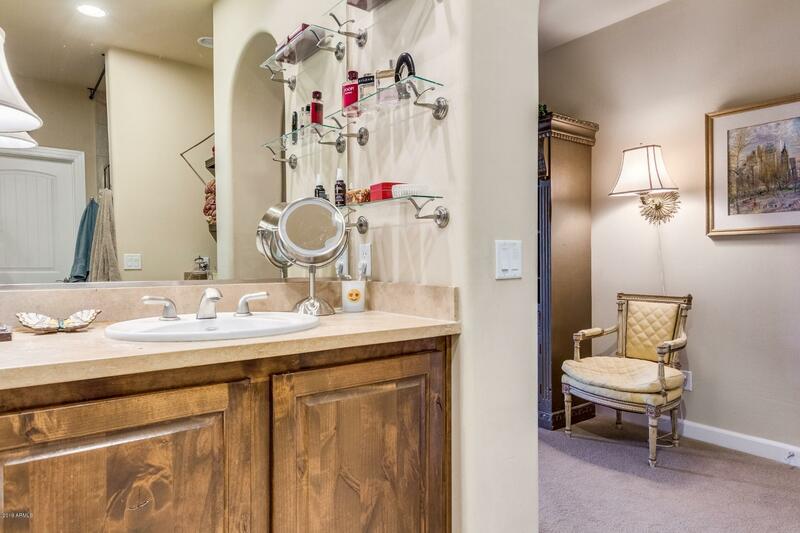 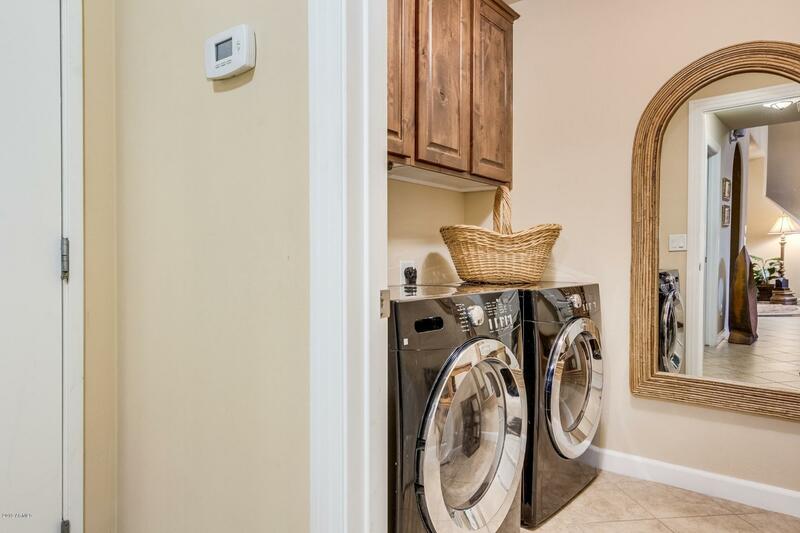 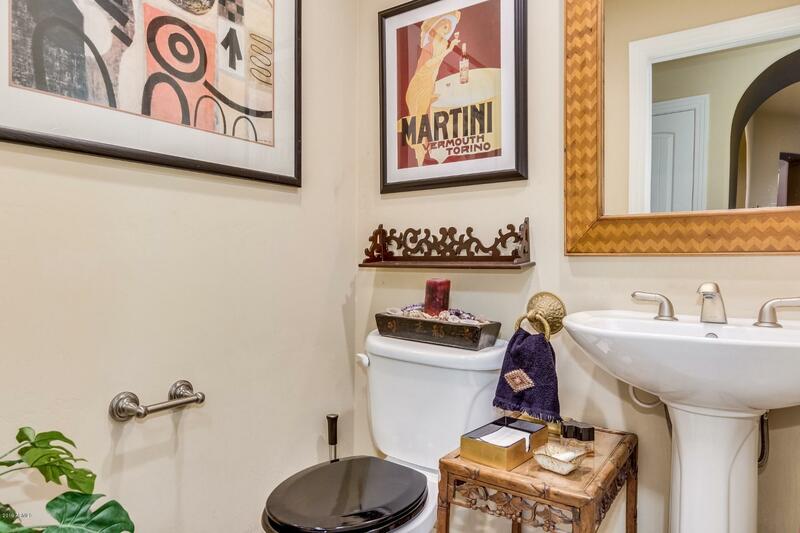 Master en suite contains double sinks, large soaking tub and walk-in closet. 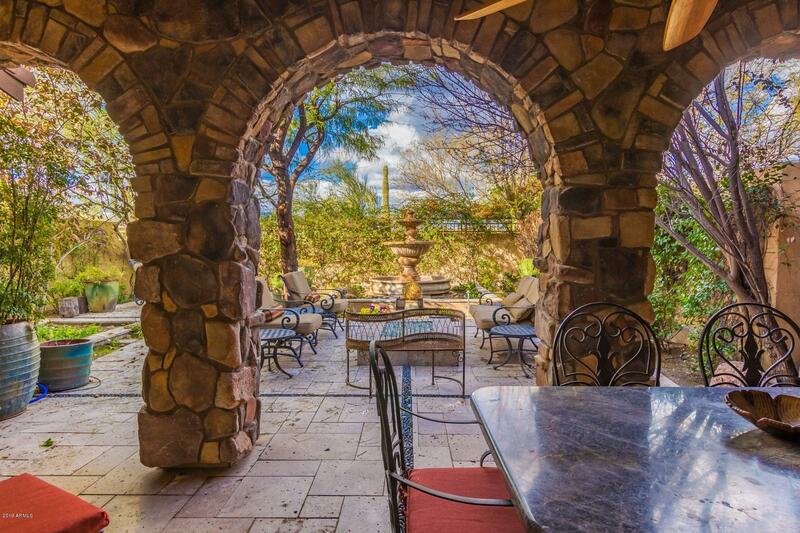 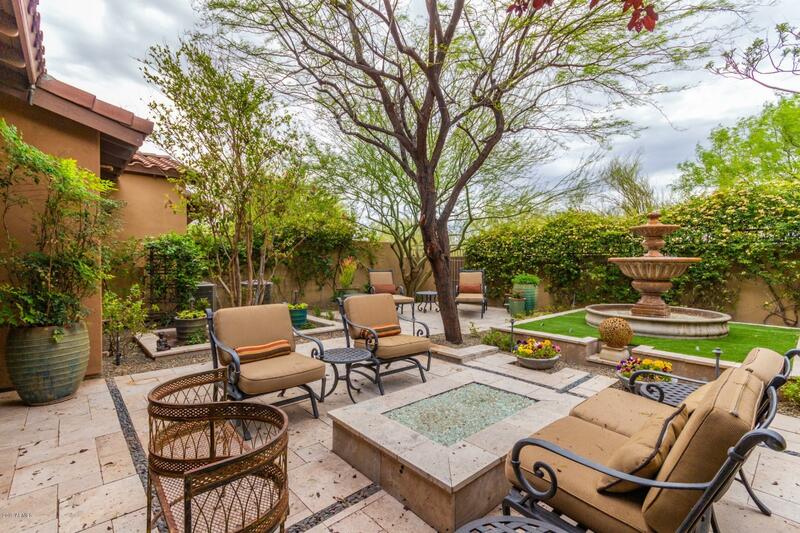 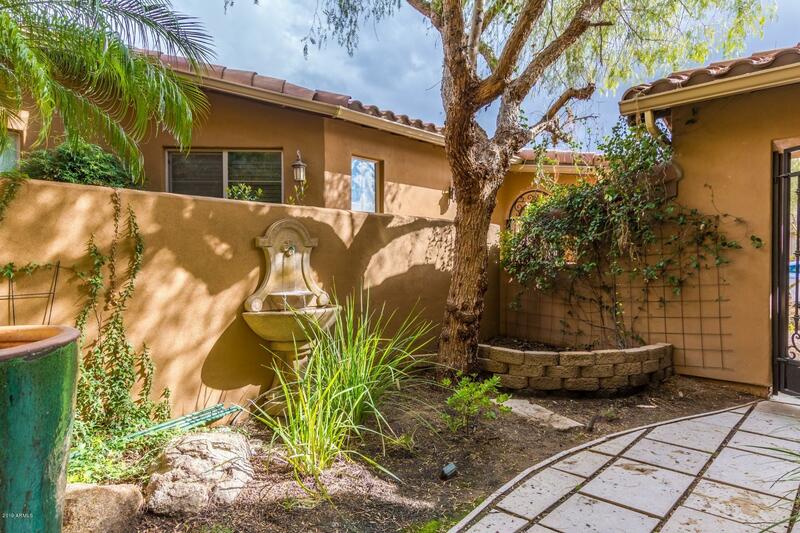 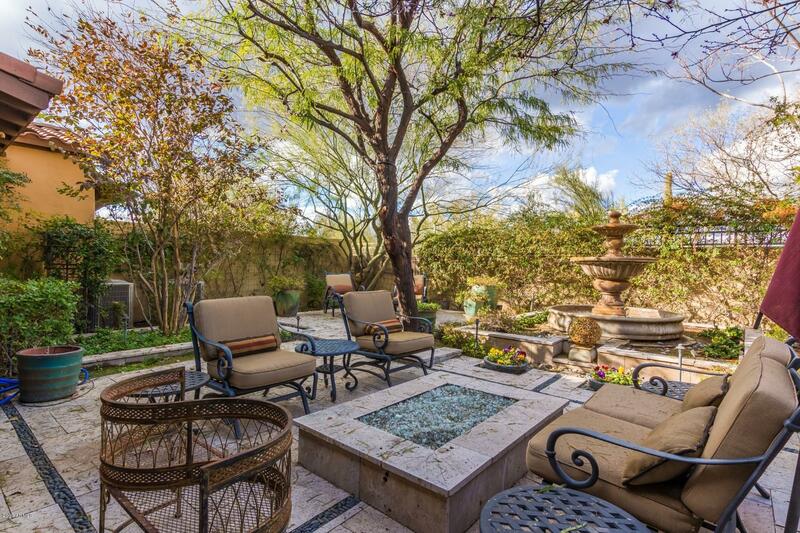 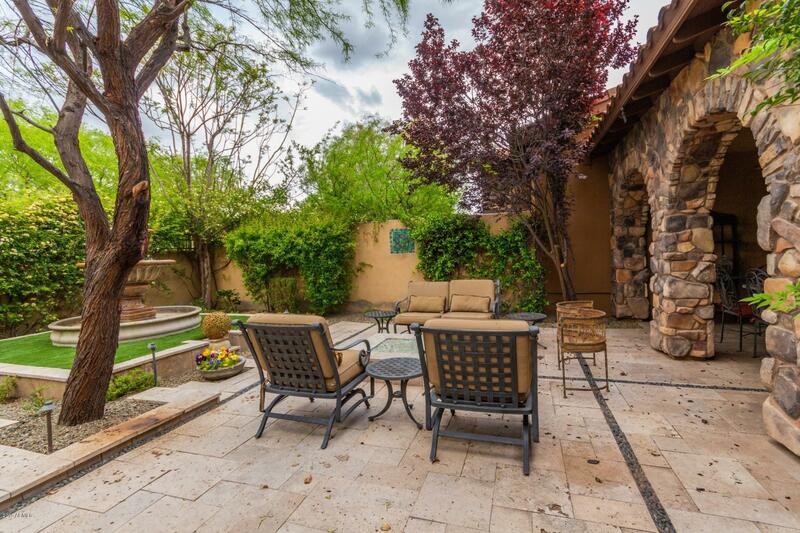 Entertainer's dream backyard with lush secret garden vibe and includes covered patio, natural stone pavers, firepit & water fountain.